Look what came in the mail last month! My Baker Heirloom seed catalog. I would probably need to add about four new garden plots to plant all the seeds I want to try. In addition, I am hoping to put in some fruit trees in February. It was fun to pour a glass of wine and flip through this. There are many varieties I've never even heard of before. Readers, do you have any new seeds you want to try for next Spring? It would be fun to look thru the seed catalog. I have never had success with seeds! lol I once tried some rare seeds from Monticello. Merry Christmas and Happy New Year to you all. I have been staying on the road, so haven't read any .Went to a library and read the new Organic Gardener. I always like to have a new veggie or two. Changing plots this year and will use a small paddock that has had cattle years back. I love looking through catalogs too. Ah yes, a good way to spend moments! I have those that you gave me a while back and I am thinking about working up a new patch of ground to plant some barley next year which will get malted and used to make beer with my hops. I do. I got a whole box of different seeds to plant. One thing is for sure, we're not going without kale and collard greens again. I just want to get something planted! LOL We did not plant a thing this year, even with the nice raised bed that Larry built. We hope to do better in 2016. Merry Christmas to you and your boys!! I highly recommend purple carrots - although you probably already grown them. They are so sweet and the kids love them. started some broccoli seeds today, i'll see how they do! merry christmas! wish you and yours all the best in 2016! Auguro a te un felice Natale e un sereno fine 2015. It is relaxing to sit down and go through something like that, I agree. Merry Christmas to you and your family! What kind of fruit trees will you plant? I don't do a garden, so I don't do seeds. BUT...I do love to walk the garden center in the Spring when all of the new perennials are out. Same feeling, I think. Merry Christmas to you and your family! I hope you have a GREAT holiday and everyone gets what they asked for from Santa. 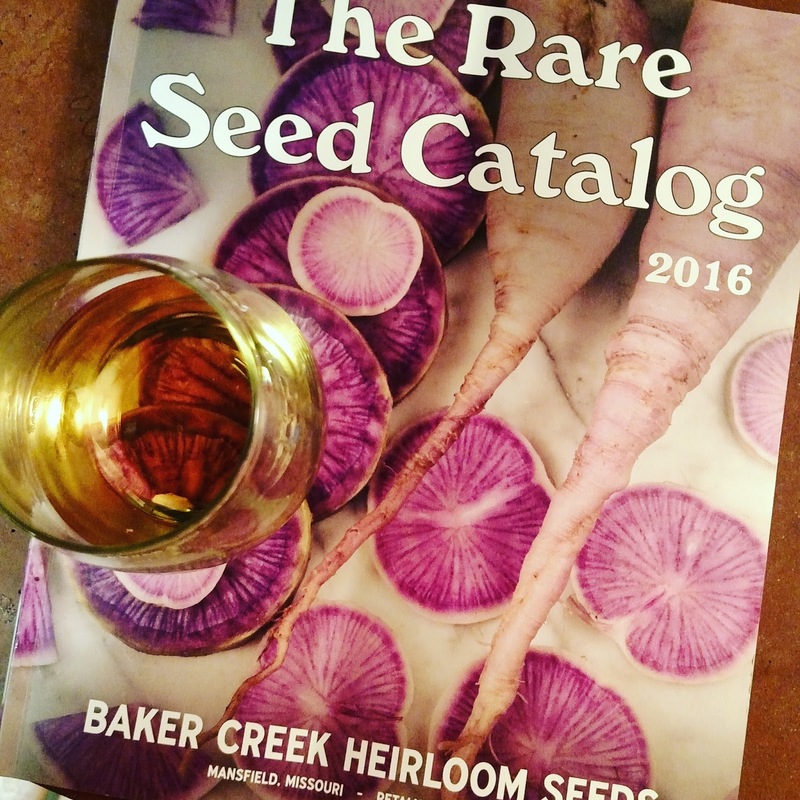 The seed catalogs have been coming for 2 months now :O). I admit I have ordered a few seeds for the spring garden! It's nice to have some quiet time and just spend it looking at catalogs or with a good book. I spend a lot of time at night looking through gun catalogs. I hope you and your family have a really nice Christmas. Unfortunately, I don't know very much about seeds. For me, I'd just like to finally get a vegetable garden started again. It's been a long, long time!